The premises comprise a two story mid-terrace building of traditional brick construction beneath a flat roof and currently arranged to provide ground floor retail premises with front forecourt, detached rear storage building and self- contained two-bedroom flat at first floor level. The ground floor provides front sales area, kitchen and WC. A storage building is available within the rear yard. The first floor is accessed via the rear. Green Street Green is a local shopping precinct which forms part of Orpington a town situated within the London Brough of Bromley. Chelsfield Railway Station is approximately 1 mile distant providing frequent railway services to Central London including Charing Cross, Cannon Street, Waterloo, London Bridge and Victoria. 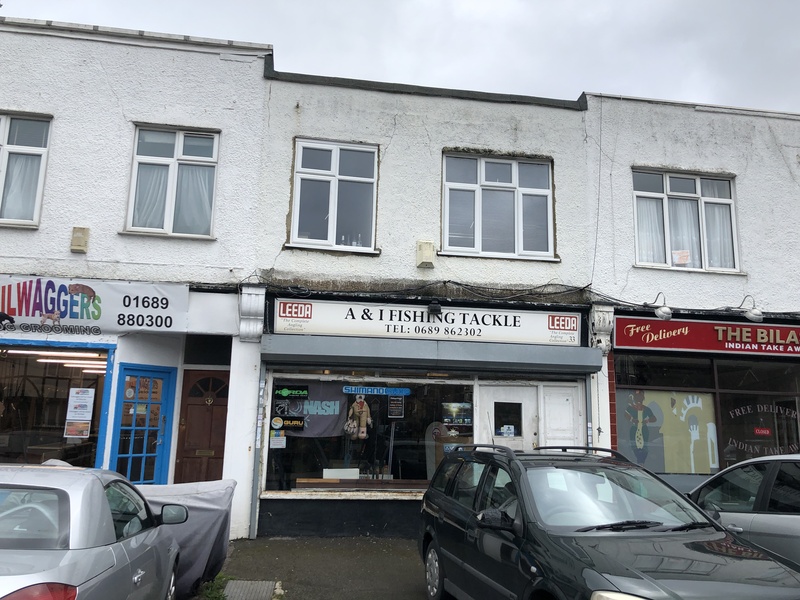 The property is situated in a prominent position within an established parade offering a mixture of retail and catering units as well as a doctors surgery. The entire premises are available to let on the basis of a new full repairing and insuring lease for a term of years to be agreed at a commencing rent of £18,000 per annum exclusive. Rents are payable quarterly in advance.